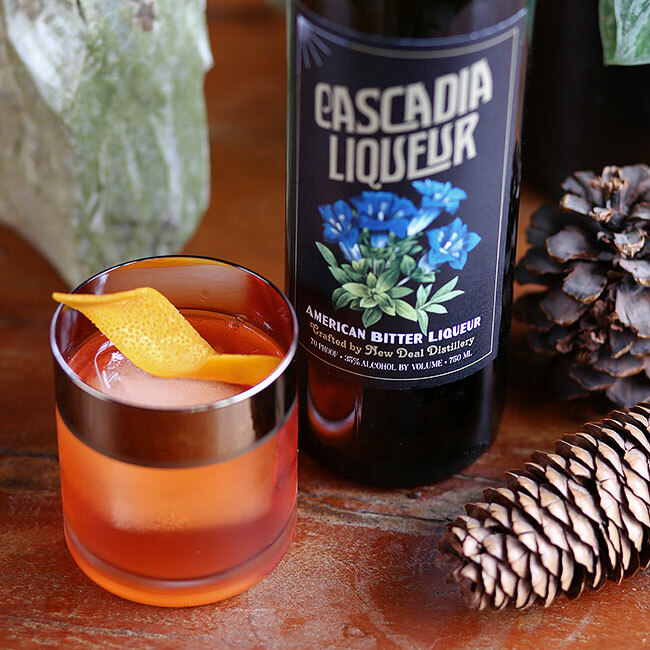 The superb combination of bitter, smoky & sweet make this a perfect fireside sipper. 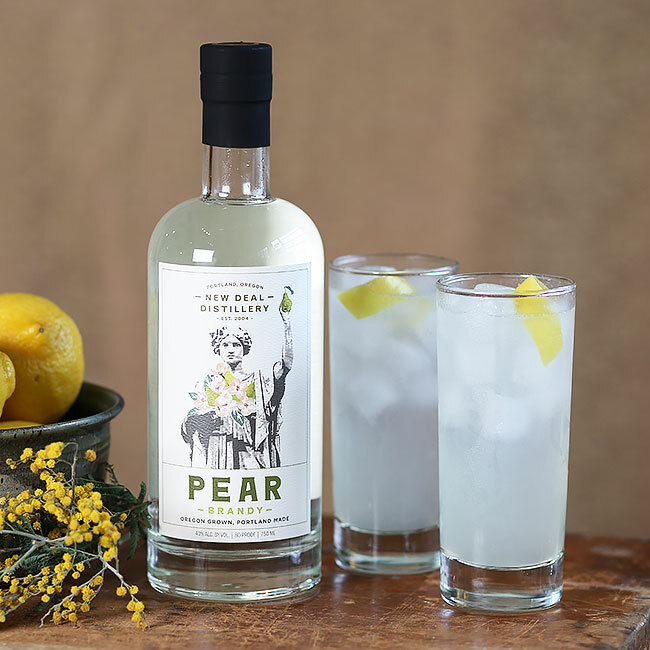 An aromatic spin on the classic Tom Collins made with our Pear Brandy featuring estate grown Bartlett pears. 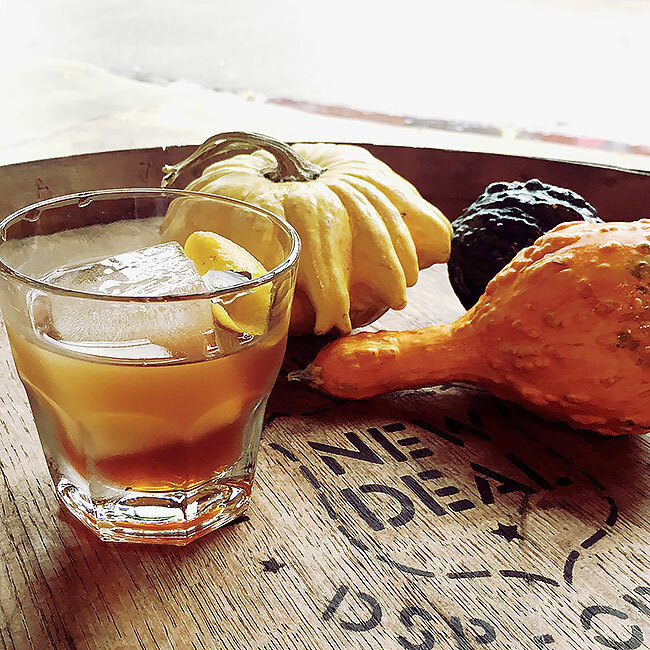 Our spin on this New Orleans classic is sure to make the good times roll. 2 oz New Deal Brandy ¾ oz New Deal Ginger Liqueur 1 dash Angostura bitters Mineral water Pour over ice and garnish with a lemon twist. Top with mineral water.